You cannot regard the enemy as on a par with you. You must realize that material power usually overcomes spiritual power in the present war. The enemy is clearly our superior in machines. Do not depend on your spirits overcoming this enemy. Devise combat methods based on mathematical precision — then think about displaying your spiritual power. Return to protect the holy nation. Of the holy nation's Imperial spring. Ushijima has been described as a tall, quiet ascetic, with considerable presence, considerate of his officers and possessed of a sense of humor. 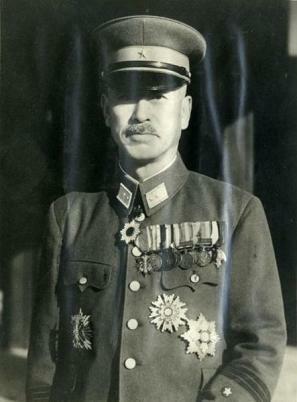 His consideration for his men went so far as to admonish his junior officers to refrain from striking their subordinates, a common practice in the Japanese Army. Like many of the most professional and least political of the Japanese Army's senior commanders, he relied heavily on his staff, believing it beneath a senior commander to worry over details.